I’m going to do what I always promise to do in this blog—promise to blog more frequently. Ha Ha! 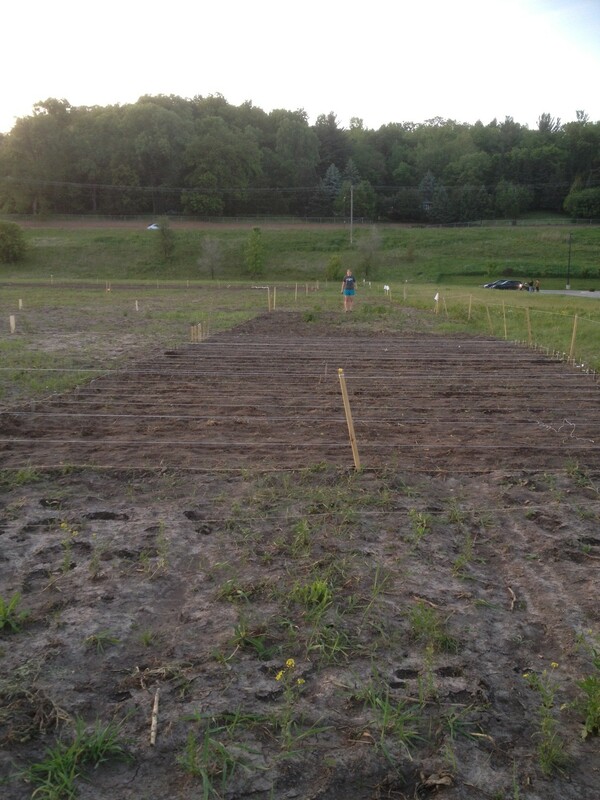 The good news is that it might actually happen, thanks to my new garden plot in the Onalaska community garden. My sister-in-law and I have embarked on this journey together—2 girls and a garden 22 x 80…..feet that is. When we originally signed up we were promised a 12 x 20 foot plot. After measuring the exact dimensions of our gardens, we determined that this might be something we need to tackle as a team. I’m super excited. Girl bonding in the garden!! I will spare you the details of how the garden went from 12 x 20 to this mammoth size—not only is it a long story but I really have no desire to rehash it. What’s done is done. Our 2012 garden is under way. I’ve posted a few photos below (You’ll see Kristin at the end of the garden—you now understand the massive space we have to work with). It doesn’t seem like much, especially since there are no plants growing yet, but if you ask my sister-in-law Kristin, she would disagree. She hoed (now an ongoing joke) the entire first garden….herself and a good portion of the second one. I’m so thankful to have such a great partner with this project. I will continue to update the blog with progress and recipes, of course. 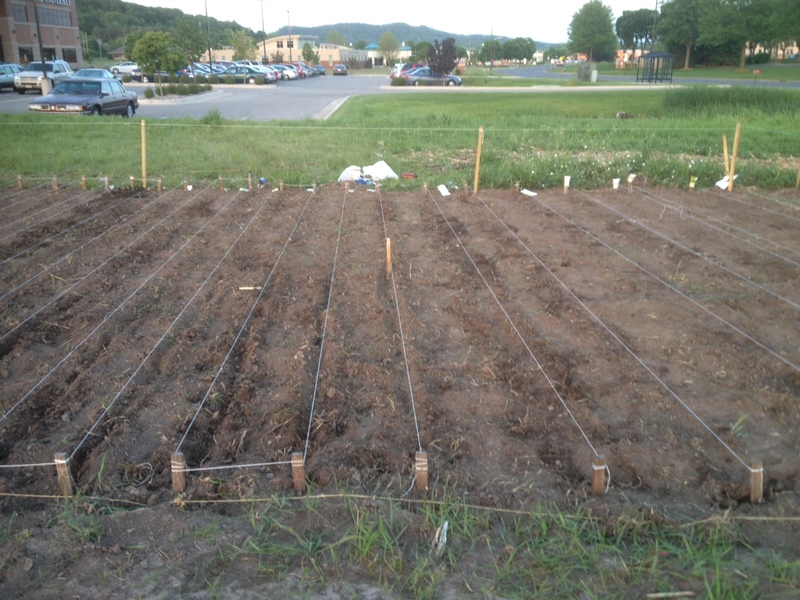 So far we have planted 4 rows of peas, 4 rows of beans (yellow and green), 6 different rows of lettuce and spinach, 3 rows of carrots, one row of radish, two rows of swiss chard, and 4 rows of onions. We might be halfway done…might being the key word in this sentence. Tomorrow we tackle the rest of the second garden—or start tackling the rest of the garden. Hoping to get our potatoes, zucchini, pumpkins, watermelon, eggplant, broccoli, and cauliflower plants in. With all these veggies I know we both will have some great inspiration for new recipes. Check back as our garden progresses and let us know how yours is doing. P.S. I also need to give a shout out to my fantastic hubby who spend several hours putting up our “fence” (string) and marking rows for us. Much appreciated, honey!